Grateful for her recovery from triple-negative breast cancer, Suzanne Sarafin wanted to give back. The Cape Cod resident decided to raise funds for lymphedema research at the Mass General Cancer Center by running the Falmouth Road Race. Not only was it the first time she would run the premier race that attracts the best in the sport, it was the first time she would run any race. “Suzanne is an inspiration of determination to make a difference,” says Alphonse Taghian, chief, Breast Radiation Oncology. Undaunted, Suzanne trained with the LIVESTRONG program at her local YMCA and ran the road race in August 2014, crossing the finish line with nearly $8,000 in donations. Her success led her to apply for 25 bibs from the Falmouth Road Race Numbers for Non-Profits Program in 2015, and she recruited a team of family, friends, researchers, doctors and breast cancer survivors. Collectively, they raised more than $35,000. For 2016, she has applied for 50 bibs, with a goal of raising $100,000. Her persistence and passion for the cause remains unbounded. 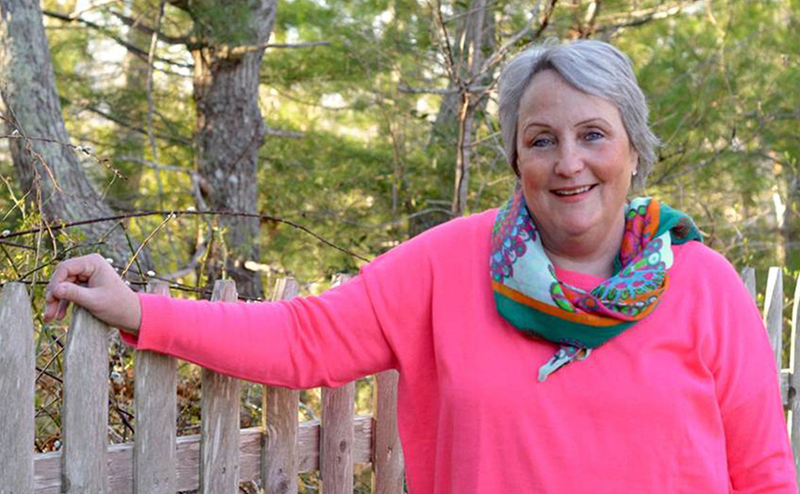 Suzanne chose to target lymphedema, the painful swelling in the arm caused by the removal or drainage of lymph nodes, because she participated in a study of the condition at Mass General while undergoing treatment. Although she did not suffer lymphedema, she met several women who did.